After work tonight I really couldn't be bothered with something overly complex. This Windhoek Lager had been taking up room in my fridge for a while so seemed like the perfect beer to just sit back and relax with. It seems odd but this is another African lager (along with Tusker) that was one of the first beers I can distinctly remember drinking, considering I've only had 4 that's a huge percentage. Anyway Namibia is a former German colony that only gained independence from South Africa in 1990. Windhoek is not only the main beer of Namibia but also it's capital. 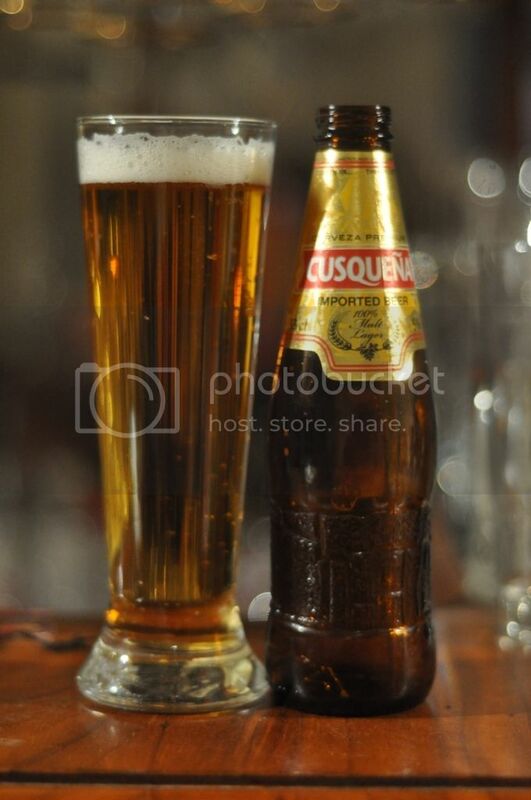 Approximately 2.1 million people get to drink this as their national beer. Windhoek pours a pretty standard golden colour with a thick white head on top. The head has quite large bubbles in it and dissipates quite quickly. However a small ring and light film of foam is left behind on the surface of the beer. There is some lacing left on the sides of the glass but not enough to be impressive. It's a solid looking macro lager, nothing special though. 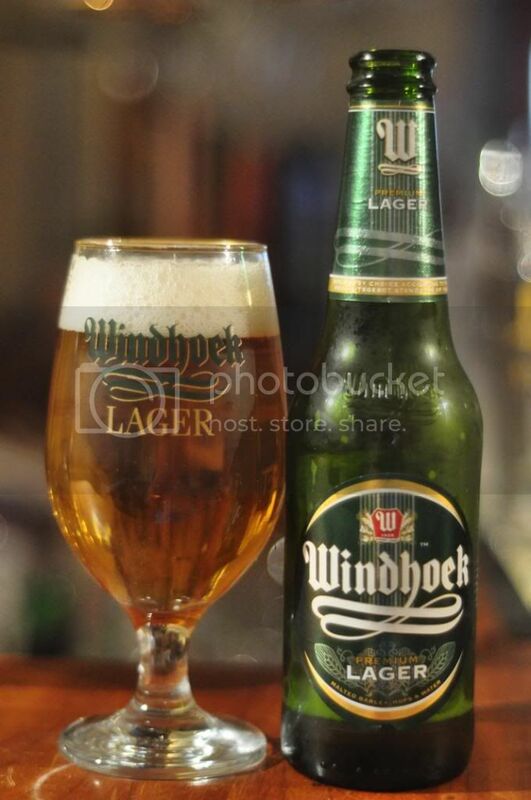 The nose of Windhoek Lager reminds me more of a German Pilsner than an Euro Pale Lager. It's very crisp and has a good amount of grassy hops bitterness. There's also noticeable amounts of grain up front. Part of the reason this beer might remind me of a German Pilsner is that it is brewed in accordance with the Reinheitsgebot, the German Purity Law of 1516, and that Namibia is a former German colony and brewing experience may have been passed on. Namibia's national lager is a beautifully balanced beer. At first there are some lovely grassy hops which provide excellent bitterness before some nice light malt character begins to come through. The carbonation is light and the beer goes down just like water! It's one of the easiest drinking beers out there and the lingering hop character is incredibly refreshing. This is a really top of the range macro lager! Windhoek Lager is incredibly crisp and combined with the excellent hop bitterness it's one of the best drinking lagers you will find. The price of this lager is also very reasonable in Australia so if you can find it, it's certainly worth a try. If you are a lager fan this is a must try, even if it's just to say you've had a beer from Namibia!